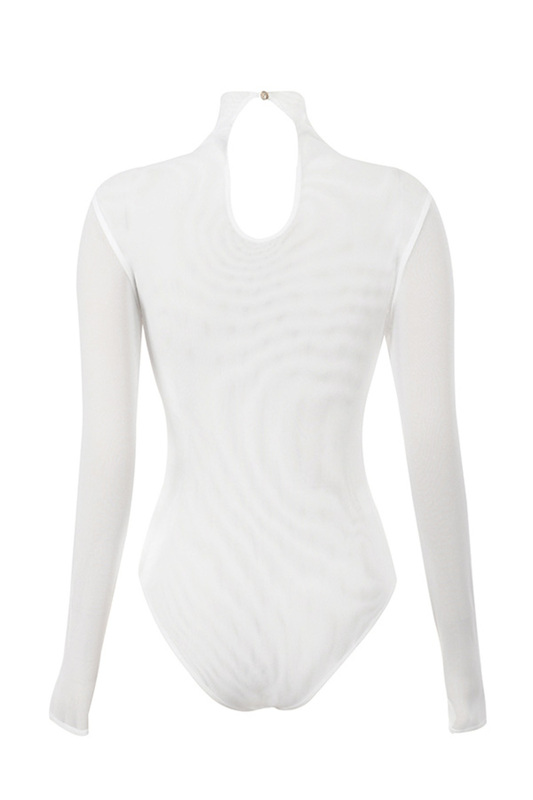 We love the simple design of this ultra versatile bodysuit. 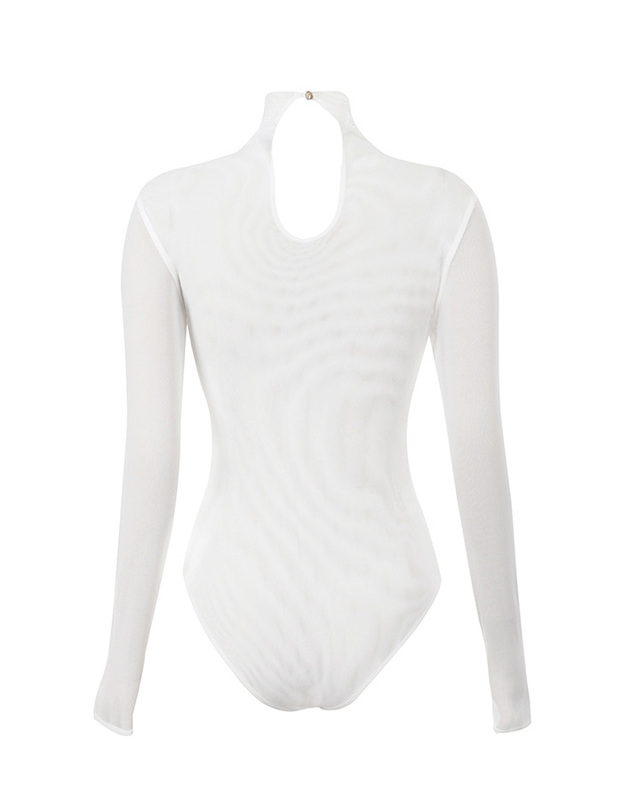 Made from stretch double mesh fabric, so it's semi-sheer, 'Moulin' can be teamed with almost anything. 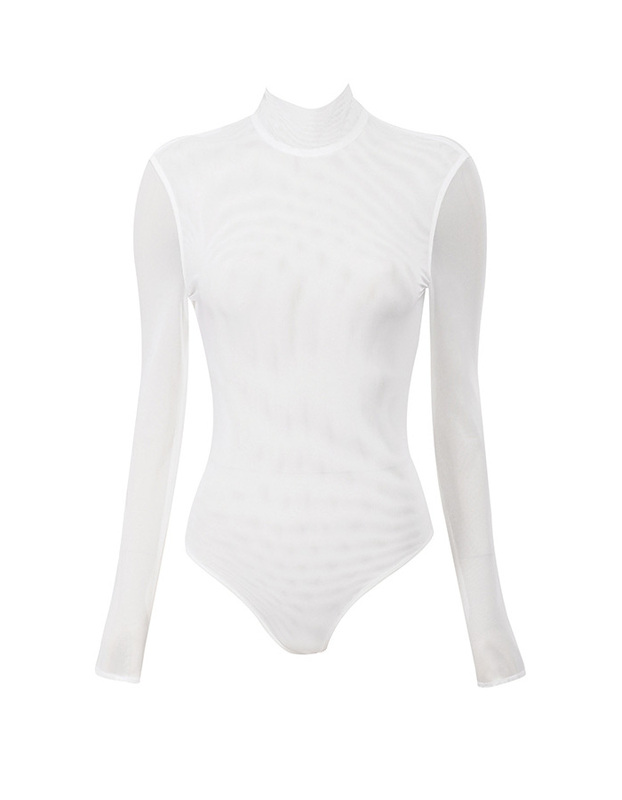 Long sleeves, high neck and a body hugging design. Style yours with a high waist pencil skirt or boyfriend jeans.